Here at ChiIL Mama, we're excited to announce Isabelle, the dancer, is the new 2014 American Girl of the year. Come ChiIL out with ChiIL Mama and meet Isabelle! Here in Chicago, our non stop snow will be clearing this Friday, for the final day of Isabelle's welcome celebration at American Girl Place in Water Tower Mall, THIS Friday from 11-1pm. ChiIL Mama will be there, will YOU?! We got a sneak peek press preview copy of the first Isabelle book, and we've been reading it aloud as a family, around the fire, as the snow storms raged outside. We're enjoying Laurence Yep's colorful style. He's an award winning Chinese American author who has written over 60 books, many of them about dragons! In addition to the Isabelle series, his other published books from American Girl include Spring Pearl: The Last Flower and the 2008 Girl of the Year series, Mia and Bravo, Mia! 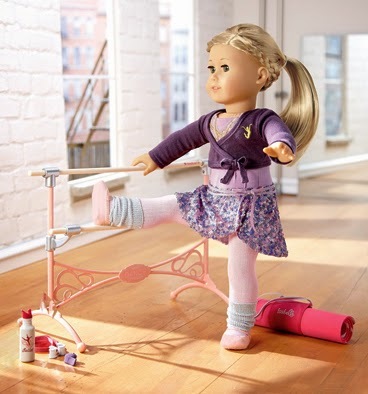 As of January 1, 2014, Isabelle, American Girl’s 2014 Girl of the Year, will dance her way into the hearts of girls nationwide. 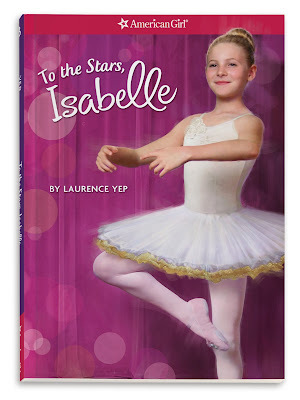 Isabelle, an inspired dancer with a flair for design, is studying ballet at a performing-arts school in Washington, D.C. The Isabelle collection, available for only one year, comes to life with a beautiful 18-inch Isabelle™ doll featuring long blonde hair with removable pink-tipped highlights and an array of outfits and accessories, including a design-studio armoire and mix-and-match dance fashions. And to further engage girls, a movie based on Isabelle’s stories will premiere on DVD from Universal Studios Home Entertainment in summer 2014. Written by award-winning author Laurence Yep, the 2014 Girl of the Year® books―Isabelle, Designs by Isabelle, and To the Stars, Isabelle―introduce readers to Isabelle Palmer, a talented ten-year-old girl who loves to dance and to design ballet costumes. When she starts attending the Anna Hart School of the Arts, Isabelle has a hard time getting her proper footing―both in her transition to a new school and in the dance studio. To complicate the situation, her older sister, Jade, is the star ballerina at the school, and a rival classmate tries to make Isabelle feel as if she doesn’t belong there. Isabelle struggles with self-doubt, but when she stops comparing herself to others and learns to focus on her own unique talents, she finds a special way to stand out and to use her passions to help others, too. The nonfiction section in the back of the Isabelle books features real girls who, like Isabelle, have followed their creative interests to discover a spotlight of their own.  Try New Moves with Isabelle: Starting January 1, girls can discover their talents at the online version of the Anna Hart School of the Arts at americangirl.com/girloftheyear. Girls can explore the school’s rooms to learn about ballet, fashion design, writing, acting, and more, plus they can unlock exclusive videos and content related to Isabelle and her upcoming movie. Girls who register at Isabelle’s online academy are entered for a chance to win a monthly drawing for an Isabelle doll and book or the Grand Prize―a deluxe trip for four to New York City and tickets to New York City Ballet’s performance of The Nutcracker. 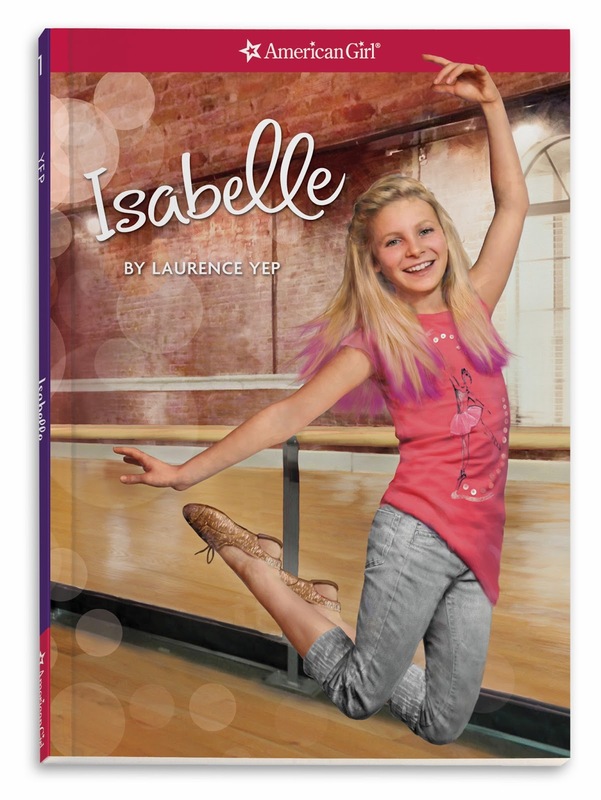 	Isabelle Apps and Online Play: Girls can get to know Isabelle and her world even better with two special apps―a free app that explores her love of design and an exclusive paid app that’s all about dance. To learn more, search “American Girl” at the Apple App Store. Girls can also visit americangirl.com/play for Isabelle book excerpts, movie-related videos, games, and much more. 	Isabelle Learning Guide: A free downloadable curriculum encourages children in grades 3 to 6 to explore and discuss important themes in Isabelle’s stories, such as discovering your own creative inspiration and sharing your talents with others. The Isabelle Learning Guide is available for download at the For Parents and Teachers section on americangirl.com. 	Isabelle Retail Events: Starting January 1, girls can take part in Isabelle-themed events at American Girl retail stores nationwide, including dance demonstrations, free craft activities, giveaways, photo opportunities, and delicious Isabelle-themed meals. 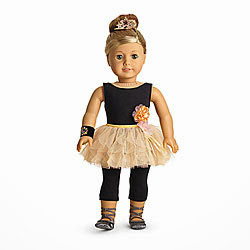 For more details on the in-store events, visit americangirl.com/stores. 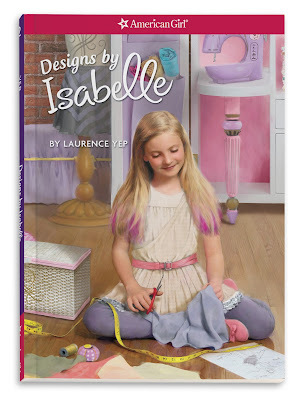 On January 1, 2014, the Isabelle collection will be available through American Girl’s catalogue, at americangirl.com, and at all American Girl retail locations. The Isabelle books can also be purchased through retail and online booksellers. 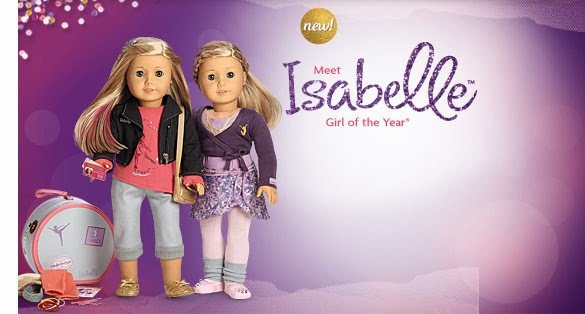 To learn more about the Isabelle sweepstakes and promotions, go to americangirl.com/girloftheyear or American Girl’s Facebook page at facebook.com/americangirl. To request a free American Girl catalogue, call 1-800-845-0005. 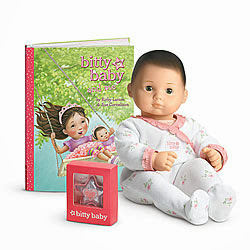 ChiIL Mama's Holidaze Giveaways continue with an awesome American Girl Bitty Baby & book set ($80 value). Coming soon.